This course deals with the experiments on DC circuits using modern experiment modules, measurement and display devices. 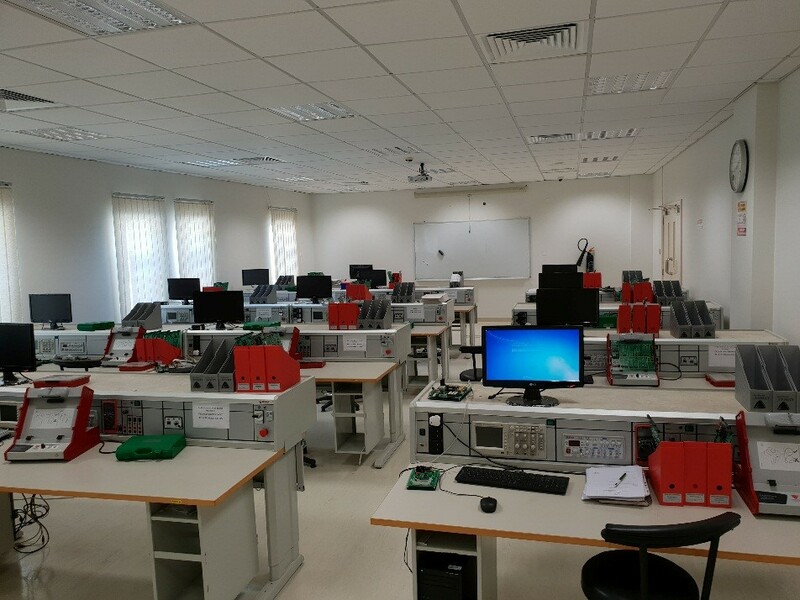 The experiments include the practical realization, simulation, testing, and analysis of electric circuits: verification of basic circuit laws, series and parallel circuits, network analysis, analysis of DC circuits using MULTISIM. Co-requisite: EECE 210. 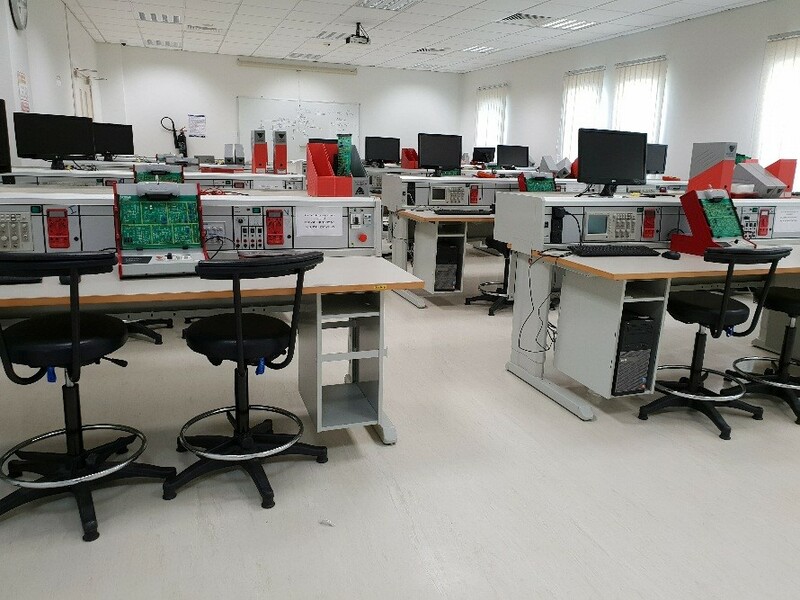 This course deals with wide range of experiments on DC circuits and AC circuits using modern experiment modules, measurement and display devices. 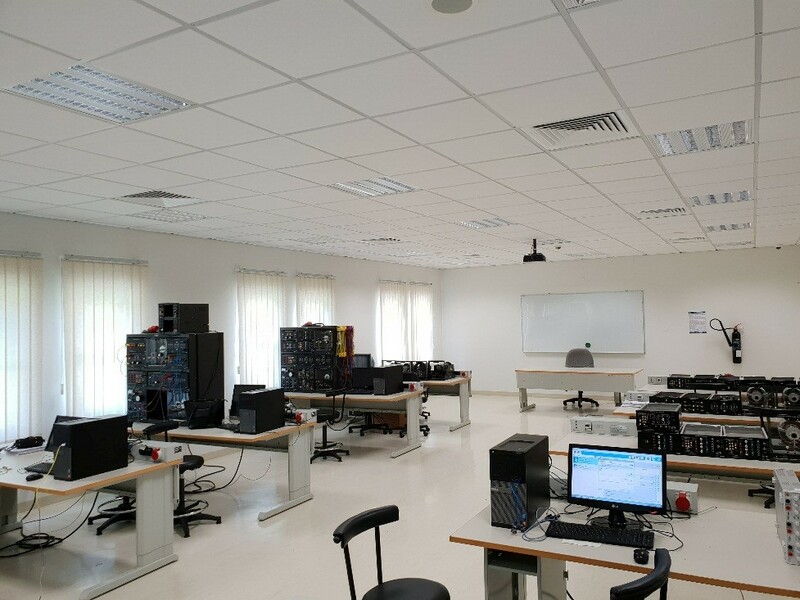 The experiments include the practical realization, simulation, testing, and analysis of electric circuits: series and parallel circuits, network analysis, response of R, RL and RC circuits in frequency domain and circuit analysis using MULTISIM. Co-requisite: EECE 211. This course covers the basic programming concepts with particular application to the solution of engineering problems using a high level programming language namely C++: fundamental concepts of C++, solving mathematical functions, control structures, functions, and arrays. Co-requisite: EECE 130. This course covers the experiments on logic gates, flip‐flops, ALU, and timers: verification of logic gates and flip-flops, design of encoders and decoders, adders, comparators, code converters, counters and shift registers. Experiments are to include hardware realization and implementation using modern experiment modules, simulation of circuits using MULTISIM software. Co-requisite: EECE 220. This course covers embedded hardware design. Main topics includes: embedded computing platforms, software design tools and technologies: CAD tools, compilers, and assemblers; hardware design tools and technologies: (VHDL and/or Verilog), high-level synthesis tools (Handel-C), ASIC and FPGA design flows; memory; interfacing; Pre– or co-requisite: EECE 413 or Permission of the Instructor. This course presents the MATLAB programming environment: introduction to linear algebra and operations on matrices; MATLAB commands; m-files; and MATLAB applications such as series expansions of trigonometric functions, solving simultaneous equations, plotting graphs, and simulation of electric circuits using SIMULINK toolbox. Prerequisite: EECE 211. This course covers realization of engineering application by interfacing hardware with C++ programming language: debug environment, using parallel ports, I/O operation, realization of control of LEDs, seven segment displays and simple motor control through parallel ports. Introduction to VHDL. Co-requisites: EECE 130, EECE 220. This course covers encoding and decoding of linear block codes; convolution codes: generator polynomial, state diagram, Trellis diagram, Viterbi decoding algorithm, turbo codes: effect of change of frame size, iterations, code rate, MAP and SOVA decoding algorithms. Co-requisite: EECE 422. 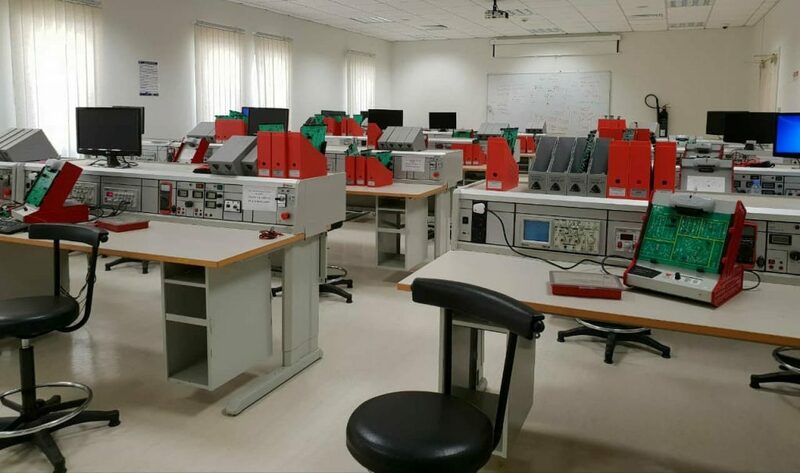 This laboratory comprises the analysis of linear continuous control systems: first and second order systems; transient and steady-state system responses; and the effect of system poles and zeros location on the overall system performance and stability. Co-requisite: EECE 360. This course covers the characteristics and application of electronic devices: study of the characteristics of diodes, and BJTs, some applications of diodes such as rectifiers, voltage regulators, and characteristics as well as applications of OP‐AMPS. The experiments are performed using modern experiment modules, measurement and display devices. MULTISIM is used for simulation and analysis of electronic circuits. Co-requisite: EECE 212. 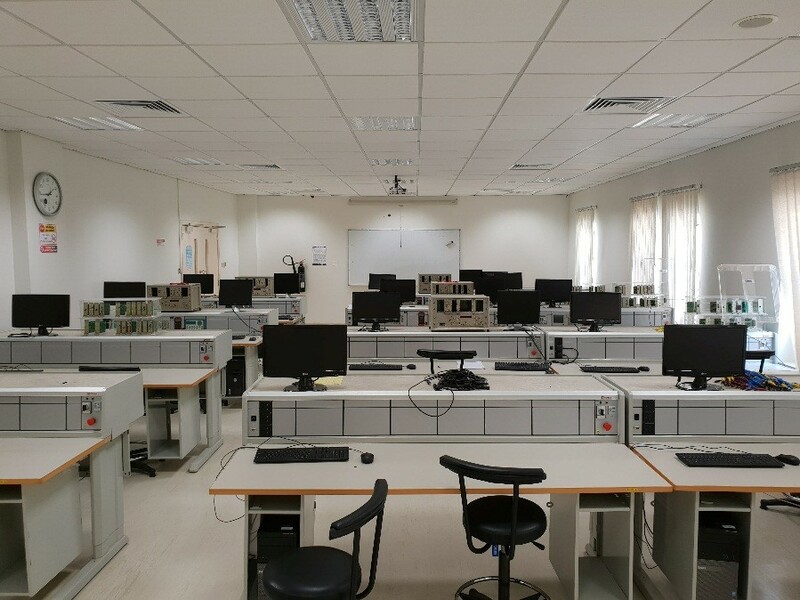 This course covers realization of engineering application using assembly language programming on microprocessor/microcontroller kits: hands‐on design experience with micro‐computer systems and applications including busses, interfaces, usage of ports and registers, realization of control of DC motor and stepper motor, traffic signal control and washing machine controller. Co-requisite: EECE 221. This course covers various experiments related to analog and digital communication techniques: modulation and demodulation techniques such as AM and FM, PAM, PCM, and PWM; multiplexing and de-multiplexing, ASK, PSK, and FSK, and Signal broadcasting, some MATLAB based programming and modeling are introduced. Co‐requisite: EECE 342. This laboratory covers the following experiments: the basic functions of the fuel cell system, the characteristic curve of a fuel cell, parameters influencing the characteristic curve, determination of the hydrogen current curve, efficiency of the fuel cell stack, solar power-fuel cell hybrid, and examples of fuel cell applications. Prerequisite: ENGR 100.